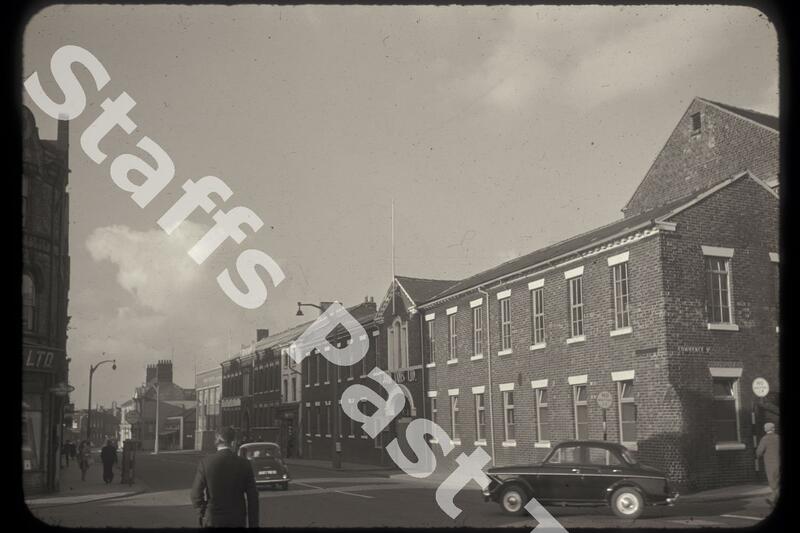 Description:John Tams Crown Works on the corner of Commerce Street and the Strand (previously Stafford Street). The camera is looking northwards. The earthenware works dates from the 1840s, operated by John Goodwin then Broadhurst & Sons and was taken over by the Tams family in 1875. The Tams Group also operated the Blythe, Sutherland and Atlas works in Longton. 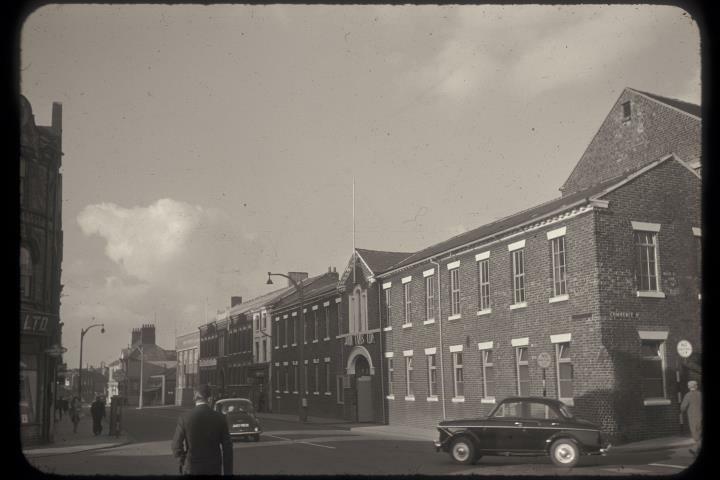 In the early 2000s, the group was the largest ceramics employer in Longton. In 2006 all of the works closed.